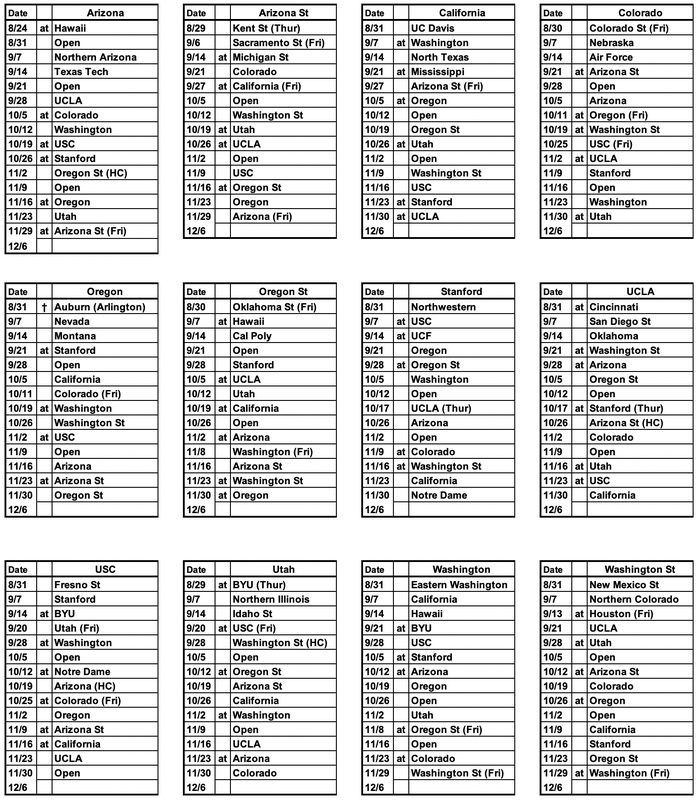 The Pac-12 Conference announced today its 2019 football schedule that pairs a competitive nine-game Conference schedule with a non-conference slate that includes six contests against teams ranked in the current College Football Playoff rankings, including three games against CFP semifinalists No. 3 Notre Dame and No. 4 Oklahoma. The 2019 season is set to open on Saturday, August 24, as ARIZONA travels to Hawai’i. Three Power 5 opponents highlight week one (Northwestern at STANFORD, OREGON vs. Auburn, Oklahoma State at OREGON STATE), before Conference action gets underway with a pair of league contests in week two as STANFORD visits USC, and CALIFORNIA travels to Pac-12 Champion WASHINGTON. Here is the Full Release.